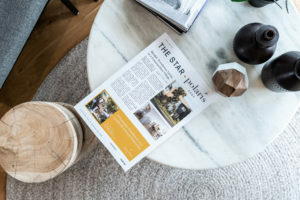 Dealcorp is pleased to share the first edition of The Star – a community publication celebrating Polaris in Bundoora. In the inaugural edition, we celebrate the launch of Eclipse Townhouses – an exclusive collection of only ten 3 & 4 bedroom townhouses! We also announce that construction at Eclipse and Lunar has commenced onsite. Loyal repeat purchaser Nhu Nguyen tells us why she decided to purchase one of Aspire’s heritage apartments. We also explore why locals love Polaris and Bundoora with how to spend a weekend in the area, complete with activities, cafes and more! This new broadsheet publication will be available outside Woolworths in the Polaris Town Centre and at the Polaris Display Suite, drop by to pick up your copy or click here to view it online.